Launching a career in a big city as a young professional can be daunting. You are looking to excel in your position and learn the tricks of the trade from senior coworkers – all while trying to connect with other professionals your age. There is just so much to accomplish in so little time. Many of us in this profession also landed here on accident or because of an interesting career crossroads we encountered. Our educations may not have focused on real estate or sales or property management, but our new and exciting careers in the industry gave us a thirst to learn from the best and to meet other professionals like ourselves. As members of BOMA/Chicago’s Emerging Leader Committee, we have been able to make smooth transitions into our CRE careers while networking and learning from both the masters and novices of those in Chicago’s commercial real estate market. Since we formed this Committee in 2008, we have planned events that merge professionalism and fun. 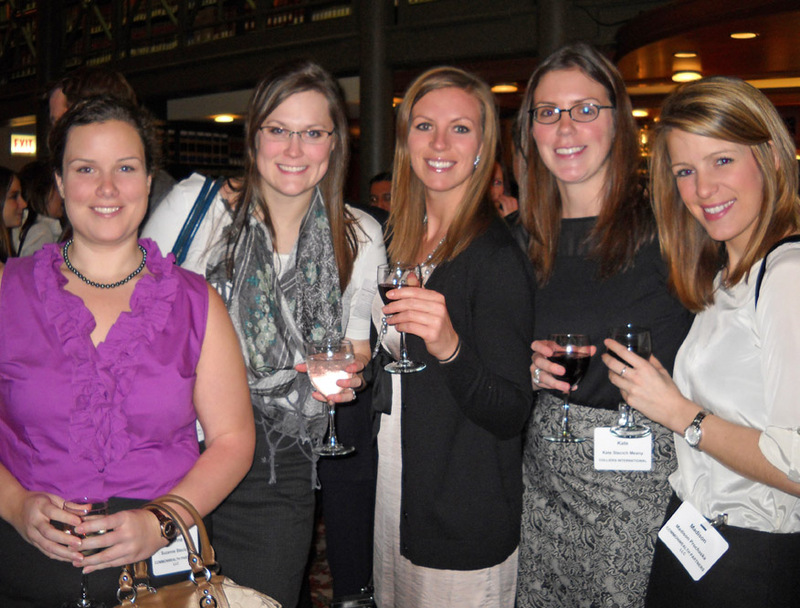 Whether we plan happy hours for you to meet other young CRE professionals or panel events where you can learn from the experts, BOMA/Chicago and the Emerging Leader Committee are here to facilitate networking, education and friendships. The Chair of the Emerging Leader Committee, Lucas Schlemmer, currently works as the Assistant Property Manager with Tishman Speyer at the CME Center (10-30 South Wacker). During Lucas’s four-year tenure on the Committee, he has noticed how the events he helps plan always bring young professionals together in a comfortable setting. New faces show up at all of the Emerging Leader events and Lucas believes this is a sign that BOMA/Chicago and its young leaders do a great job at reaching new CRE professionals and creating a community where they can learn from and assist each other in their career paths. Rhett Ledford, our Co-Chair, has served on the Emerging Leader Committee as an Affiliate Member for four years. He works in business development for Strata Contractors Ltd and his involvement in the Committee puts him in touch with other Affiliate and Building Members. Over the past few years, Rhett has watched as the Emerging Leader Committee has become more popular among young professionals, especially as the Committee began to plan a wider variety of events. Emerging Leaders join the Toys from the Top celebration. One of the Committee’s annual events, Toys from the Top, is held each December. This event brings young CRE professionals together for a charitable cause – distributing holiday gifts to low income communities. After getting wind of the enormous success of each Toys from the Top event, other members of BOMA/Chicago wanted to get involved in the initiative. So we opened the doors for all members, not just Emerging Leaders, to participate and the number of gifts we donate grows more and more each year. We also team up with other Committees to partake in charitable initiatives. In the spring of 2012, we joined forced with the Diversity and Corporate Social Responsibility Committee to help the less fortunate by cleaning and repairing homes through the National Rebuilding Day program. We are currently planning our next panel event for this fall, where the theme will be BYOB (Bring Your Own Boss). Young CRE professionals will be encouraged to bring their boss to the free event so that they can network with the experts and their peers. The past, present and future success of the Emerging Leader Committee boils down to one factor – we are here to do all that we can to bring young professionals together so that they can assist each other in achieving both short and long-term career success. Having this type of network at your disposal is a true benefit, as not all industries have a channel like BOMA/Chicago to bring us all together. 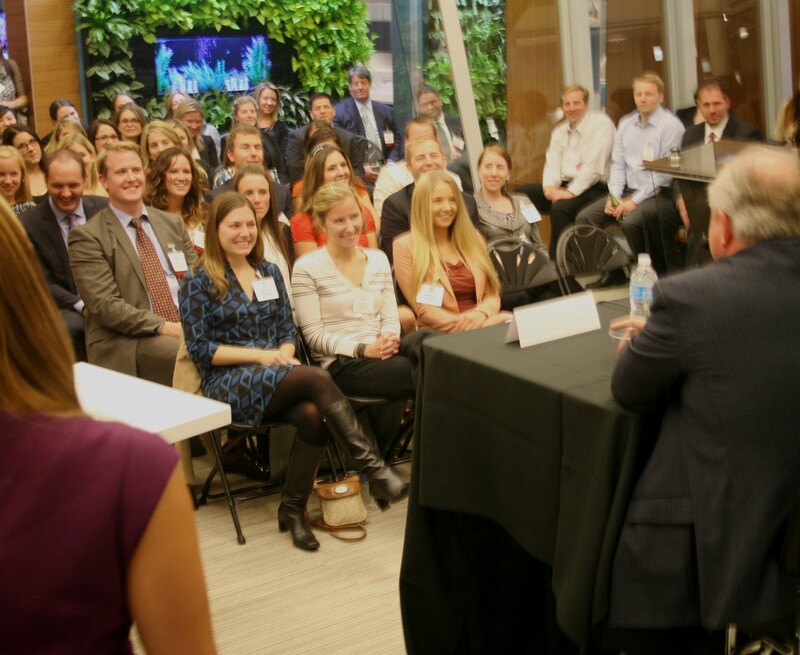 And this is why you and other young CRE professionals should attend our events – because we will provide you with tangible and relevant takeaways and a network you can count on. To become an Emerging Leader, you must be a member of BOMA/Chicago and have 10 years or less experience in the CRE industry. If you meet these criteria and would like to receive announcements about upcoming Emerging Leader events, please email Beth Halat, Director of Member Services, at bhalat@bomachicago.org. SILVER Sponsors: North American Corporation, Bear Construction Company, Siemens Industry Inc., Schindler Elevator Corporation, Merchandise Mart Properties, HP Products, ABLE Services, Hard Surface Finishers Inc., Midwest Signature Building Services, Inc., Strata Contractors Ltd. This entry was posted in BOMA/Chicago Events, Chicago CRE industry and philanthropy, Uncategorized and tagged BOMA/Chicago, Emerging Leader Committee, Lucas Schlemmer, Rhett Ledford, Strata Contractors Ltd, Tishman Speyer, Toys from the Top. Bookmark the permalink.